It’s been a short time but now I’m back to close out the Hokey Summer Concert Series with a blast from the past. I just sat through a unique band in a unique setting. 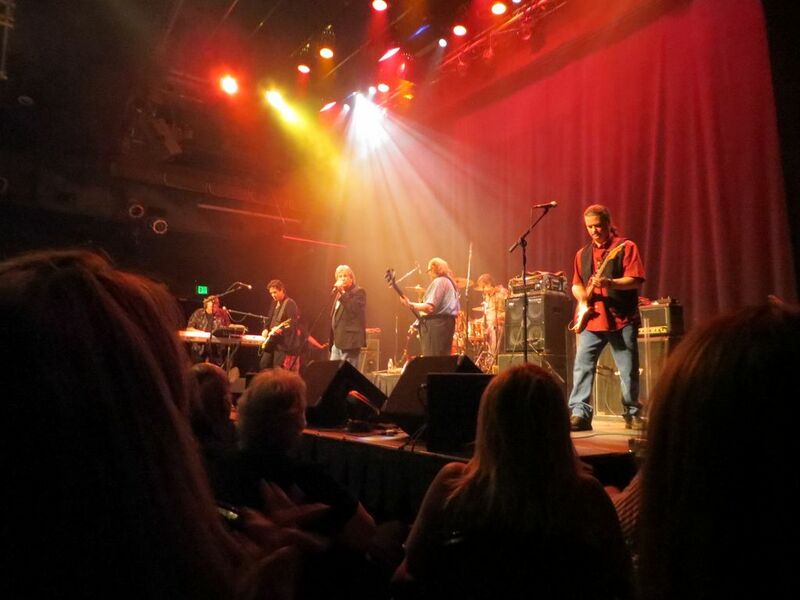 Atlanta Rhythm Section rocked out this tiny little venue by the name of One World Theater. The experience kick started new senses as I soaked in both lovely arrangements and somewhat unorthodox concert staples. And I was totally in to it. So the One World Theater bills itself mainly as a place to rent for events and receptions and the like. But they also tout a pretty hefty line up of concerts. When I got there, the lobby area looked more like a wedding setup than a theater setup. The bar was kind of tiny but they had all the required hard and soft drinks. There was a large bucket of snacks you could purchase. Some lady was jamming quietly on the keyboard while belting out some covers. All in all, it was like a comfy reception area. But the theater was upstairs. So I went up and the got up for Atlanta Rhythm Section. So the relationship between the band and myself started out ironically. Yes, a little too hipster. I bought a couple of vinyl records of them because I liked their covers. It was also super cheap. I listened to a few and it actually sounded good in spots. So off to research I went and found out that they are a rather decent southern rock jam band outfit. Maybe not the biggest or the best but they held their own. And they did Sunday night. It was either the intimacy of the tiny theater or the energy the band put out that really helped deliver this show as one for the win column. I’m a fan of “So Into You” (I even had it as part of the Prelude to my wedding) so when they started the song and then jettisoned to a lengthy guitar jam, I reached my happy place. Sure, you may know them doing “Spooky” but even when they played it live, there was some extra jam on top to liven things up. They actually left me wanting more. So the pleasant surprise of extra jamming along with this reception hall like venue combined into a great time. One World Theater props up well as a concert hall when it needs too. Atlanta Rhythm Section has me going through my crates to dig up their old LPs. Sunday night punctuated the closing night of my summer concert series. This summer was one to remember. And you know I’m so into it.